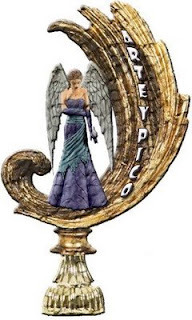 for awarding this blog the Arte y Pico award. I can't get over the kindness and encouragement of the folks who read this blog regularly. Thanks so much! And by the way, as one who loves watercolor and horses, I can recommend Deborah's Epona Studios blog. It's interesting to see how the works develop over time, and the translucence of the medium really works well for her subject: dressage horses. The origin of the Arte y Pico Award: "This prize has arisen from the daily visits that I dedicate to many blogs which nourish me and enrich me with creativity. In them, I see dedication, creativity, care, comradeship, but mainly, ART, much art. I want to share this prize with all those bloggers that entertain me day to day and to share this prize with those who enrich me every day. Doubtlessly, there are many and it will be hard to pick just a few. The people I will name today deserve this prize, as do the very long serious list of bloggers I also enjoy to read. But I will name the first 10 and leave the rest of the work to all the bloggers that visit other's blogs and are nourished by them." Congratulations Stacey! I enjoy your insights and reading your blog too. I am proud of you. Stacey, Congratulations on your well-deserved award. Your writing is amazing and your blog is so informative and entertaining. A cut above! Way to go!